A great cookbook on grilling gives you loads of recipes with a lot of instruction to help you be the best griller you can. These books are for general grilling skills for both gas and charcoal. Chris Schlesinger and John Willoughby are masters of grilling, barbecue and meat. This book is their first pairing and taught the world that backyard grilling was more than burgers and steaks. This is probably the one book you have to have whether you are a serious master of the grill or just starting out. It almost single-handedly changed the landscape of the cookout. 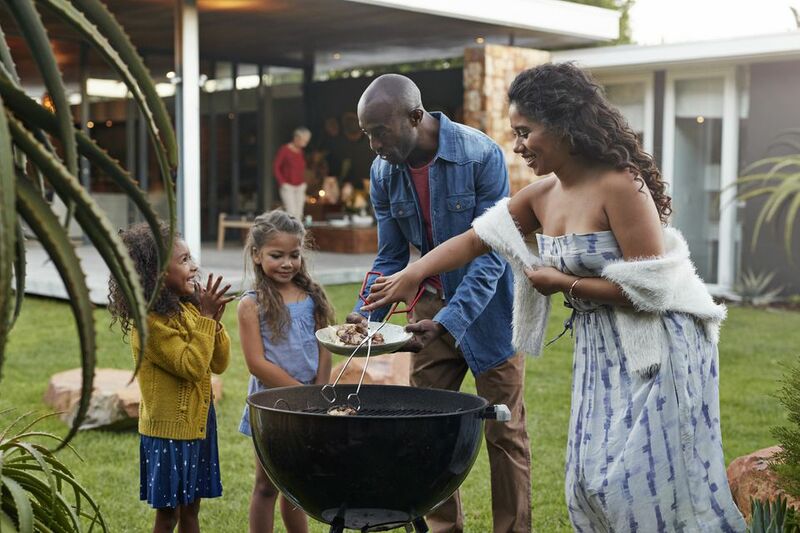 Eric Treuille is a classically trained French chef taken to grilling, but don't worry, his no-nonsense style gets to the heart of the matter and shows you how to dress up a simple cookout and turn it into a full meal. This book has become a classic of grilling in part because in converts the world's greatest cuisines to the modern grill. Ted Reader is one of the great gurus of the grill and this is his best book yet. Inspired by the original intention of the Gastropub, where fresh ingredients and new methods meet pub favorites, Ted has taken mainstays of the grill and re-imagined them in truly wonderful ways. This book is both beautiful and thorough, providing instructions for virtually every method of grilling. This is for anyone that is not only serious about grilling but serious about food. Chef Jamie Purviance and Tim Turner team up again for this grilling book from Weber. Don't worry, you don't have to have a Weber to use this book, though. With over 200 recipes and loads of instruction, you'll be grilling everything from burgers to shrimp. The book has good information on grilling techniques and recipes for marinades and rubs so you'll be able to set out on your own. The recipes are fancy enough to impress most anyone without being too complicated or artistic. 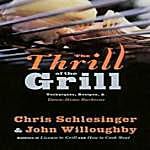 Chris Schlesinger and John Willoughby follow up the classic Thrill of the Grill with this book that takes you one step beyond. While a complete grilling book on its own, all the recipes are new and unique. If you love Thrill of the Grill you need this book. These guys know grilling and cooking and this book isn't just a great cookbook, it's a good read. You can really tell how much these guys love cooking out back. Either Steven Raichlen had great timing with this book, or this book changed the way people see outdoor cooking. While titled The Barbecue Bible, this book is almost completely about grilling. Steven Raichlen traveled the world to bring out the grilling traditions of every culture. This book will have you making everything from Japanese Yakitori to the good ole' American hamburger. The authors of Cook's Illustrated are nothing if not thorough. This voluminous cookbook must be considered the ultimate "science of cooking" barbecue and grilling book. They attack ever preconceived notion with trial after trial, working their way down to the bare bones of outdoor cooking. This book is universal to outdoor cooking and addresses every method. It might not be a glossy inspiration cookbook, but if you have a question, you will most likely find the answer here. Ray Lampe, aka Dr. BBQ, is a world-class barbecue champion, fantastic griller, recipe developer, and really nice guy. In Ribs, Chops, Steaks, & Wings, Ray focuses in on some of the most popular foods to hit the grill. The 44 recipes in this little book use loads of flavor to make the most of dishes perfect for tailgating, cookouts, and meals any day of the week. Cheryl Alters Jamison and Bill Jamison helped revolutionize true barbecue with their Sublime Smoke. In this book, they put forth a great cookbook on grilling. With loads of recipes, practical advice, and just enough instruction, this book really stands out as a great grilling book. The recipes cover virtually everything from appetizers to desserts. Chef Jamie Purviance has again teamed up with Weber to produce another great cookbook. This one, however, stands out as a grilling book specifically written for the charcoal grill. If you are interested in returning to charcoal, this book is a definite must-have. Filled with great recipes (of course) and loads of information about charcoal, charcoal grills and all the special techniques you have to master to be a great charcoal cook.